Here’s a killer review by Today’s paper. I’m speechless la! 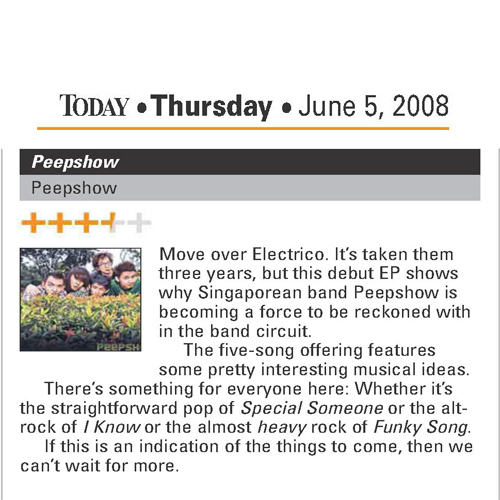 So nice of them to review our EP and they even rate us highly! 5 Responses to "Ep Review"
I wouldnt call Funky Song heavy rock…. but anyways, congrats!! I actually read your last 5 words in a very Elvis slang. LOLX.